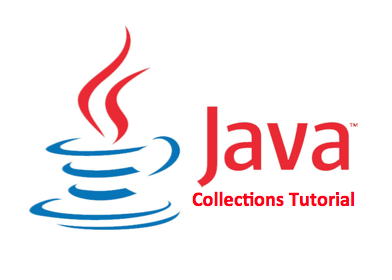 Difference between array and arraylist in java is considered as a starting interview question . This question checks whether candidate know about static and dynamic nature of array.We have already discussed other popular java interview questions like difference between comparable and comparator and difference between arraylist and vector . Difference between array and arraylist in java include eight points namely Resizable, Performance, Traversal ,Primitives , Length , Type-Safety, Adding elements , Multi-dimensional. 1. Resizable : Array is static in size that is fixed length data structure, One can not change the length after creating the Array object. ArrayList is dynamic in size . Each ArrayList object has instance variable capacity which indicates the size of the ArrayList. As elements are added to an ArrayList its capacity grows automatically. resize() opertation : Automatic resize of ArrayList will slow down the performance as it will use temporary array to copy elements from the old array to new array. ArrayList is internally backed by Array during resizing as it calls the native implemented method System.arrayCopy(src,srcPos,dest,destPos,length) . add() or get() operation : adding an element or retrieving an element from the array or arraylist object has almost same performance , as for ArrayList object these operations run in constant time. 3. Primitives : ArrayList can not contains primitive data types (like int , float , double) it can only contains Object while Array can contain both primitive data types as well as objects. JVM through Autoboxing(converting primitives to equivalent objects internally) ensures that only objects are added to the arraylist object. 4. Iterating the values : We can use iterator to iterate through ArrayList . The iterators returned by the ArrayList class's iterator and listiterator method are fail-fast. We can use for loop or for each loop to iterate through array . 5. Type-Safety : In Java , one can ensure Type Safety through Generics. while Array is a homogeneous data structure , thus it will contain objects of specific class or primitives of specific data type. In array if one try to store the different data type other than the specified while creating the array object , ArrayStoreException is thrown. 6. Length : Length of the ArrayList is provided by the size() method while Each array object has the length variable which returns the length of the array. 7. Adding elements : We can insert elements into the arraylist object using the add() method while in array we insert elements using the assignment operator. 8. Multi-dimensional : Array can be multi dimensional , while ArrayList is always single dimensional. 1. add and get method : Performance of Array and ArrayList are similar for the add and get operations .Both operations runs in constant time. 2. Duplicate elements : Both array and arraylist can contain duplicate elements. 3. Null Values : Both can store null values and uses index to refer to their elements. 4. Unordered : Both does not guarantee ordered elements. In case you have any doubts regarding the difference between array and arraylist in java then please mention in comments.